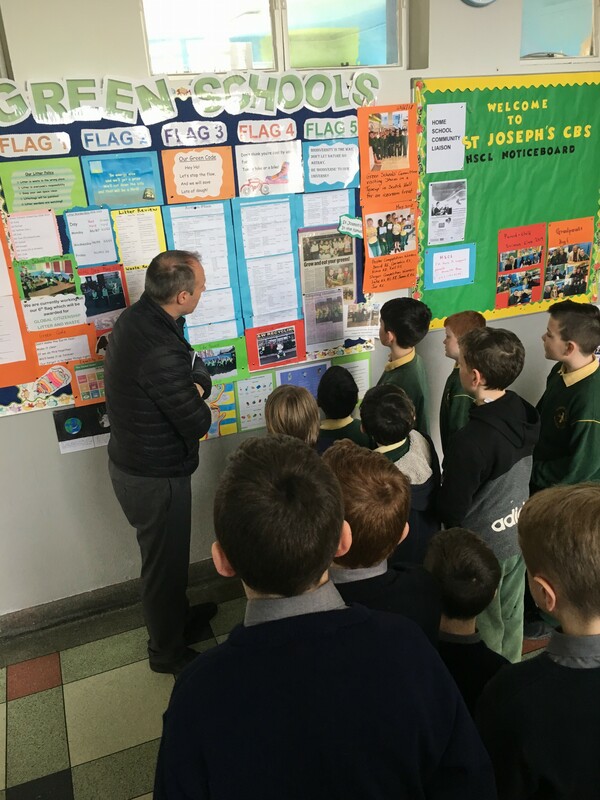 The Green Schools’ Committee had their inspection for the 6th Green Flag on Wednesday 20th March. Barry Eaton from Louth County Council carried out the inspection and he was very impressed with the knowledge and enthusiasm of the boys. 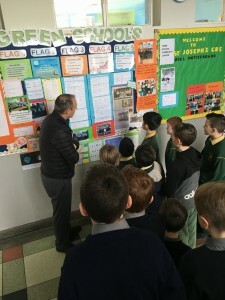 He loved all the wonderful displays and projects on show throughout the school and commented on the cleanliness of our school yard. Posted in Green Schools, Ms Gregory - R6, St. Joseph's News.